These best backpacking tent reviews are specifically for backpackers who want a reliable, comfy tent for their trips—but don’t want to spend more than $150-200 for it. 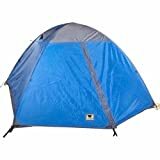 You can actually find a number of great solo and two-person tents within that budget, and they won’t break your back from sheer weight either. 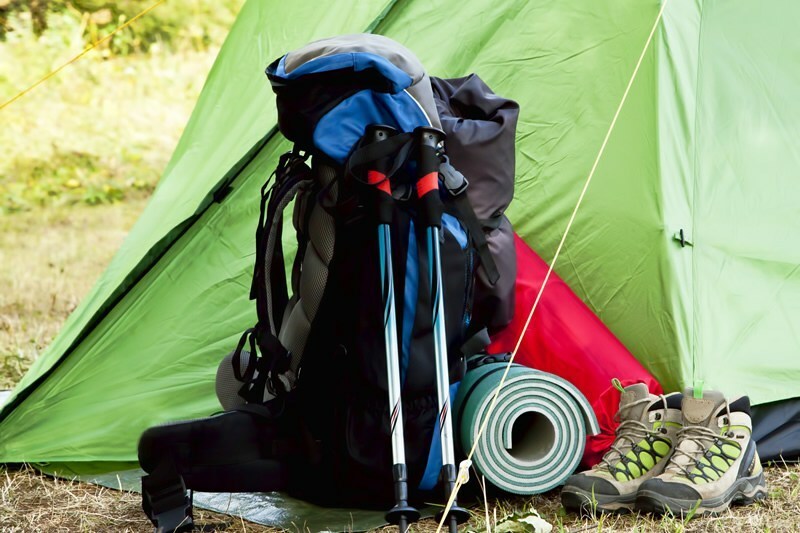 Below are 5 of the best lightweight tents for backpacking to be found within those parameters. 75D 185T polyester sides give this tent lasting tautness and UV-protection, and a urethane coating gives it added protection against the rain. The seams are also sealed in the factory. There are two vestibules inside, and the mesh roof panels allow ventilation while three aluminum poles provide a rigid backbone without adding too much weight. It may be advertised as a 2-person tent, but this isn’t that spacious if there are two adults using it—especially since its rectangular footprint tends to pinch at the ends. For a single backpacker, though, it has plenty of room. It’s also a decent weight at under 6lbs. It’s a bit odd that half that weight is the rain fly alone, but given how well the rain fly works at keeping you dry in a storm, you’ll feel OK about the extra weight eventually. To get the weight down the floor material is a little on the thin side. If you have the capacity to carry more in your backpack or if you’re sharing then a footprint would be a good option here. The overall manufacturing quality on this product is pretty good and the simple but stable design gives you real security without too much fuss on setup. This is a freestanding tent capable of sleeping as many as 4 people. It has a seam-taped floor, 2 doors, 2 vestibules for your belongings, and vent windows. It employs the simple 2-pole construction design. 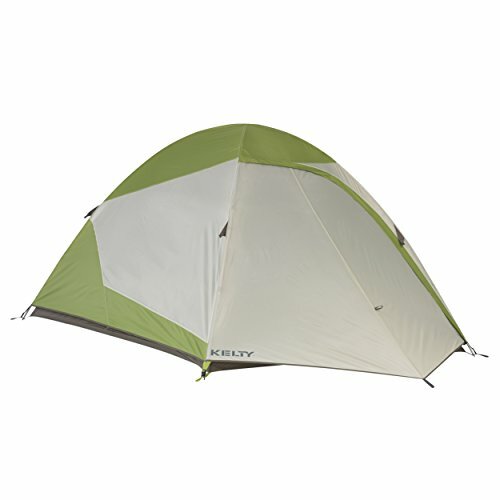 This is a 3-season tent that can hold 2 or 3 people and their camping mats very comfortably. You can probably fit 4, as the manufacturer claims, but only if they aren’t that big and they’re willing to be in a very intimate row. That’s not bad space for something of this price and it weighs under 7lbs, though. It has a great rain fly, a straightforward design that makes it a cinch to set up, and overall good build and material quality. There are only 2 guy line attachments, though, which is a bit irritating if you’re used to more. This single-user tent has sides composed of polyester bottoms and mesh tops for combined protection and ventilation. The included rain fly covers the mesh areas for full privacy and rain protection, and a polyurethane coating helps the floor resist abrasion as well as moisture. It uses 2 poles and has a vestibule inside for storage. The only issue with this solo tent is that you might find it a challenge to enter if you’re coming in from the rain and don’t want your stuff to get wet too. You can do it with a bit of deft maneuvering, though, so it’s a really minor qualm. 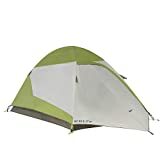 This is a very well made, very well designed solo tent that will see you through many a backpacking trip or indeed a thru-hike for a one-time outlay of just under $100. That makes it an ideal tent if you don’t need to share with anyone on the trip and have to save money. This freestanding 2-person tent comes in at under 5lbs and uses a 2-pole color-coded clip design. The poles are made of aluminum for lightness and strength and the seams are factory-taped for rain protection. 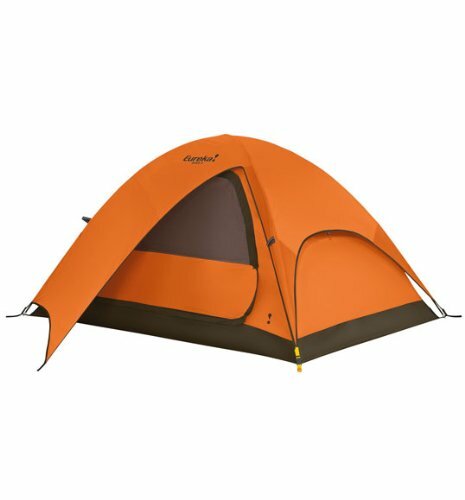 This is a nice tent for people 6ft and below (at 6ft, you can actually hit both ends of the tent when you stretch out). You can technically use it too even if you’re taller than that, but you may have to curl up or lie diagonally inside it in that case. It’s made quite well overall. The floor is probably the best illustration of this with its deceptive thinness. It’s actually very strong despite its looks. The factory-taped seams aren’t bad either. The only place where the stock materials fall short, actually, is in the stakes. Fortunately, they’re easily (and cheaply) replaceable. On the whole, it’s a nice buy given its general performance and weight but better overall quality can be found in the other options on test. 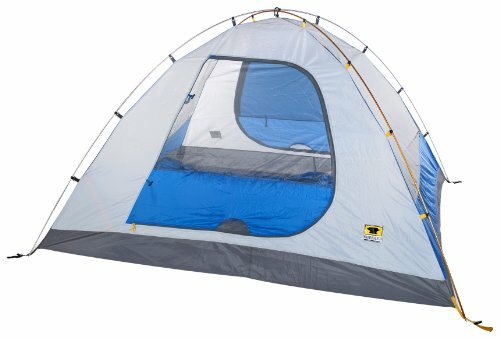 This tent has a 4’11” by 7’5” footprint, giving it the capacity to sleep up to 2 people. Each side has 6.7-square-foot vestibules for storage. A double-coated polyester fly and floor give it wet weather protection. Full mesh walls give it great ventilation and can be covered with the fly. 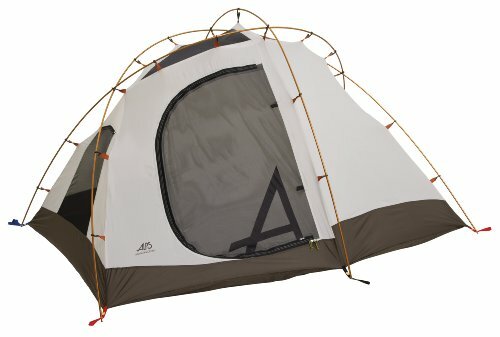 This is one of the best backpacking tent for about $150, especially given how roomy it is for one person (and still fairly comfortable for 2). It’s quite sturdy, decently light (about 6lbs), and can be set up in under five minutes if you know what you’re doing. One does wish that the vestibule zip were easier to reach (and, maybe, that the tent had aluminum instead of fiberglass poles), but they’re minor issues and ones most people can live with. 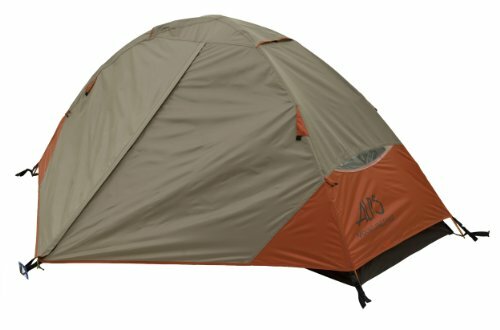 These are all great backpacking tents, but if you’re just one person using it, the best solo backpacking tent is the Alps Lynx. It’s far and away the cheapest as well as the lightest, yet it manages to keep you dry, warm and comfortable like the more expensive options here. If you’re looking for the best backpacking tent for two people then go for either the Mountainsmith or the Eureka. They’ll give you sufficient space so as not to feel like total sardines in a can and still remain relatively light despite that.